Hello friends, Today I will share a method on how to unsend a message on Facebook, or I should say Unsend/Recall embarrassing messages. You can instantly recall any of your text/media which you have sent to the receiver. It will also automatically delete the message/media even if the user has seen the message. This method will work on both Smartphone and PC. A lot of time this happened with me, and you must have also faced this problem. The problem is sending a message and then regret it. Even when we delete the message, still its sent and all delete are for us. Several people have a sent bounty of email and asked several questions in the Facebook help section. And several have even contacted Facebook directly. But there was no positive reply because no option to unsend a message on Facebook was present. But now Facebook has officially released this feature. Facebook is working hard on its privacy, and you can even remove all Third-Party apps from Facebook at once. But what is this Unsend/Recall message means? It means like a life saving sometimes lol. It’s like improving from your mistake or hiding your mistake. Users get a chance to undo on their PC/Laptops and several other Social Media apps like WhatsApp. This feature allows us to recall our messages which we have sent and the best part that receiver will never know what was written in those messages. 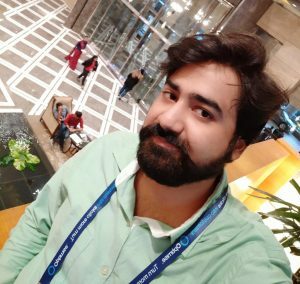 So you don’t have to delete Facebook account permanently to hide. This feature is quite tricky on Facebook, as it only gives you 10 minutes to unsend a message. But in WhatsApp, this feature is so great that even after downloading any media on the phone if the sender recalls the text message/media anytime. Then that media will also be deleted from your Smartphone automatically. So you should be unhappy and ask for more time? Well, I will say we should ask more time to recall our sent messages on Facebook lol. But currently, we should be happy with what we got. Hope in future they will work on the same system as WhatsApp. This method will work on both PC and Android. I will share two different ways to unsend a message on Facebook or Facebook Messenger. 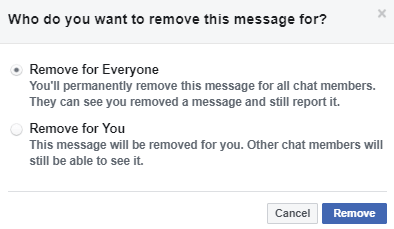 In starting both of these methods are bit different, but in the end, they both will give an option to unsend a message on Facebook. But make sure you are under 10 minutes deadline. You can even unsend a read message under 10 minutes. In this method, I will share five quick points to unsend a message on Facebook using your PC/Laptops. Now open the chat => Click on these 3 dots[More]. A popup will appear with Remove message for everyone or Remove message for you. Click on Remove for everyone, and your message is gone. You can use this method if you are using your Android or iPhone. But make sure you have Facebook messenger. Open Facebook Messenger on your Android or iPhone. Quickly open the chat and tap on the message and tap on Remove. Now you will get the same options like the 4th point above Remove message for everyone or Remove message for you. Tap on the option remove for everyone, and your message is unsend. Note: It will show like you have removed a message. So they will know that you must have sent something and later recall that message. But they will know what was written in that message. You can then say it was a wrong chat. Its good to see this feature for Facebook. We all make a mistake sometime or in anger do send some wrong messages. But its great that world’s most used Social Media is giving people a chance to get their message recall on Facebook. Hope In the future, we get more time to recall our messages and it would be great. So for now, even 10 minutes deadline is enough for the users to unsend a message on Facebook messenger. 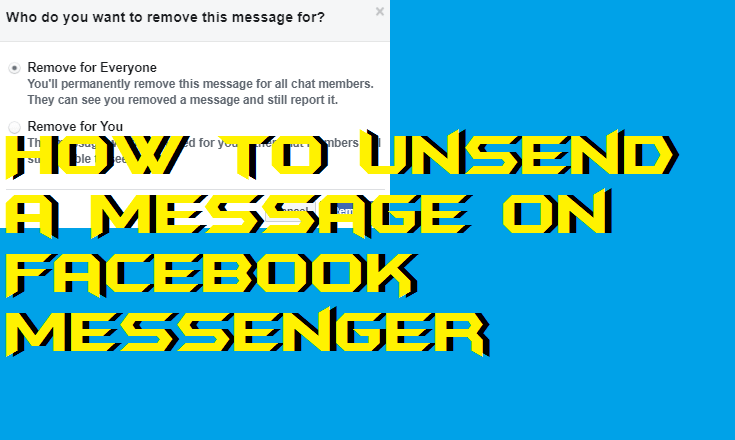 It is the best method on how to unsend a message on Facebook messenger. Because we are not using any external app. Facebook itself is helping us in this feature. Do make people aware of this unsend a message on Facebook by sharing this article.